Brown-Campbell carries the following Round Hole Patterns In-Stock - ready for immediate shipment. If there is a specific hole pattern you are looking for that is not pictured please call us at 1-800-472-8464. 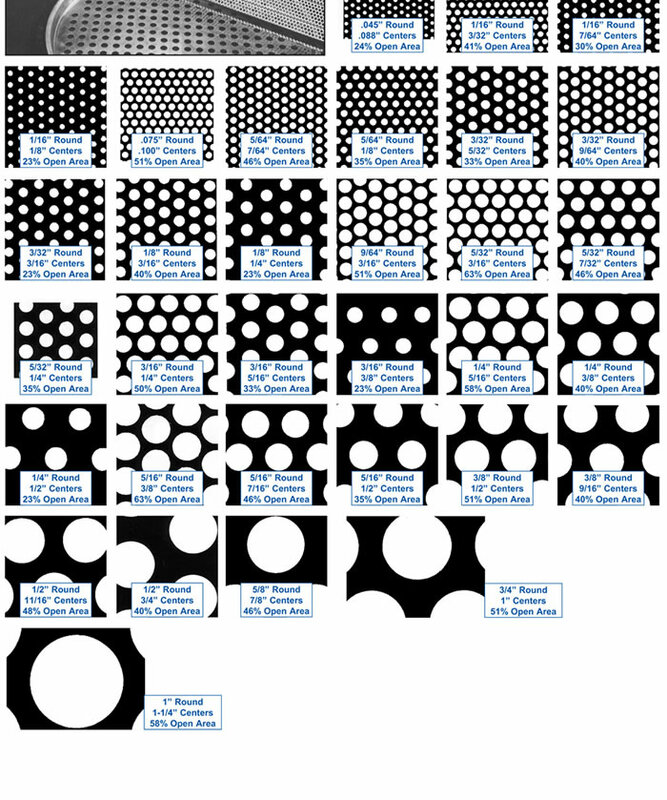 An extensive listing of available perforated patterns can be found in our Tooling Charts.